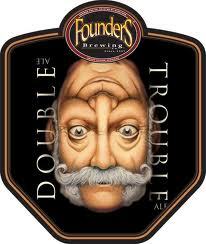 An imperial IPA that was brewed to turn your world upside down. Hops have got you coming and going. Pungent aromatics up front paired with a malt balanced backbone and a smooth bitter finish. 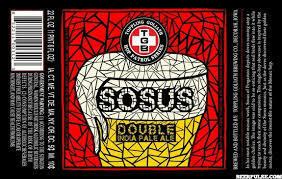 86 IBUs. 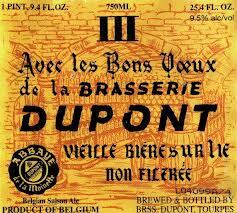 Bons Vœux (Good Wishes) is a blond high fermentation beer , re-fermented in the bottle. Founded in 1970 , this beer was offered earlier this year to the most loyal customers of our brewery ( hence the name “With the best wishes of the brewery Dupont “). The success this beer earned lead to it being made commercially, while retaining its original name. Although very popular, it was brewed in limited quantities, the bottles reserved many months in advance. A coppery blond beer with aromas of hops for the Bon Voeux is a beer tasting combining mellow bitterness and fruity. Our selection of yeasts and a long maturation phase with hopping gives it flavor and a characteristic and complex taste. The true fermentation in the bottle , which can be extended very long in your cellar, resulting in a balanced and harmonious beer, surprising and complex aromas. Introduced to me at last years Brr Fest in Coralville, IA this is the perfect introductory beer to the barrel-aged styles. So smooth and creamy, Madhouse used Templeton Rye barrels to age their stout and pulled off an excellent roasted, smoky, a bit boozy barrel aged imperial stout. Madhouse was originally located in Newton, IA but will be opening up shop in Des Moines, IA soon. 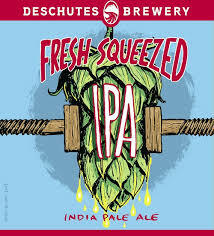 Deschutes Updates: Fresh Squeezed Going Year ‘Round!